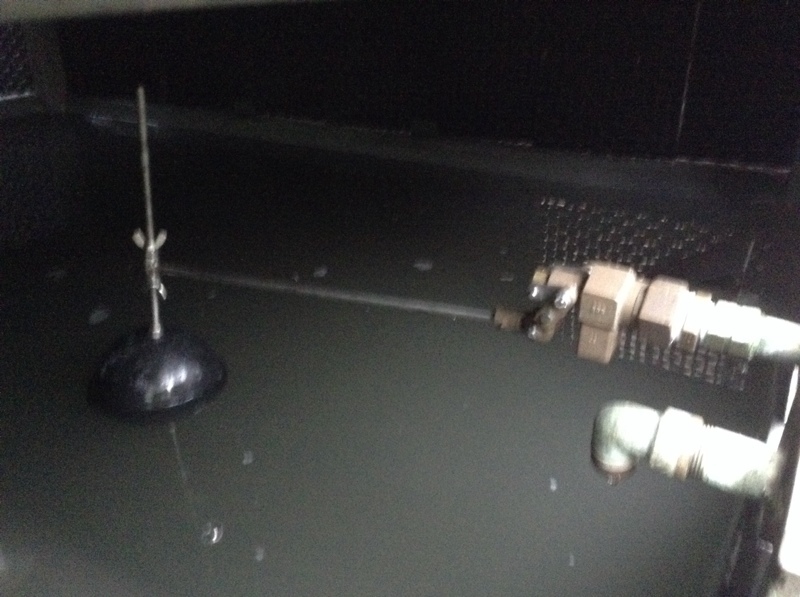 We recently replaced a cooling tower ball float, to stop a cooling tower overflowing excessively. The existing valve was a water tank design, not suitable for cooling towers. The bouncing caused the valve to wear out and this stopped it shutting off. The combination of the bent arm and the faulty valve caused the basin to overflow consistently. We addressed the issue by replacing the flat ball float with a larger ball float. We also replaced the ball float valve assembly with a cooling tower-standard valve and arm. Float sits steady in the water, despite water falling onto it from above. The system water level was then reset, and it was tested to ensure that the correct operating water level would be maintained. The new design now sits in the water correctly and does not tend to bounce due to water falling on top of it.